Stay in A San Pietro da Susy and Live like a Roman! We can’t say enough good things about A San Pietro da Susy – this is a fantastic apartment in a great location that is beautifully furnished and well managed. Our taxi dropped us at the front door, and we were immediately greeted by the owner, who was out on the balcony awaiting our arrival. There is a short set of steps up to the ground floor where a lift can be utilised to take the bags upstairs to the apartment on the next level. Once in, we were welcomed home and shown around. This is a 3 bedroom flat with a living/dining room and a small kitchen. The two main bedrooms are en-suite, and the third has a dedicated full bathroom just opposite it’s door. The kitchen is small but contains everything needed, and the owner had already stocked it with water, milk, coffee, cereals and toast. There is a grocery a couple of blocks away for any other necessities such as wine, cheese and fruit. 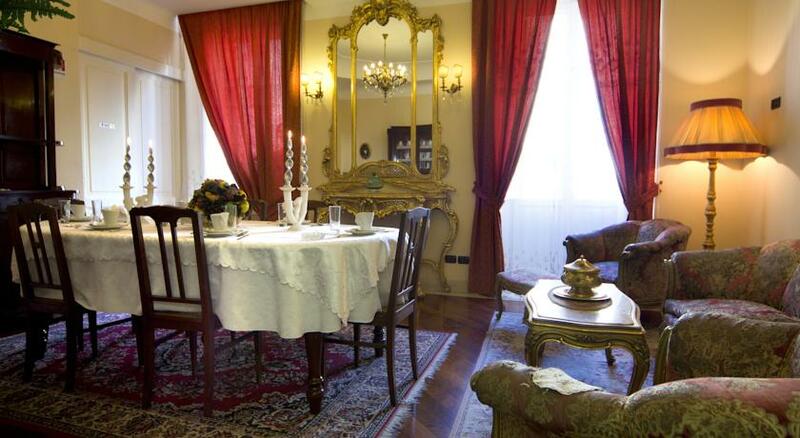 The apartment is situated almost exactly between two Metro stations, about 700m from either Cipro and Ottaviano. We were given keys that locked our individual rooms and allowed access to the main door and the apartment’s front door. Individual air conditioning was available in all rooms and there are satellite televisions with BBC News in each bedroom. The owner was a perfect hostess and available even afterward to answer any questions we might have had. We found a spot of dust here and there, and the furniture showed some signs of wear, but the visit was perfect, and we felt as if we had our own flat in the Vatican area. Best of all, when shared with another couple, the price worked out to less than one might pay for a medium chain hotel in America – about $105 per couple per night. Bravo, Susy family – you have provided a wonderful haven for the visitor to Rome. Read this review on TripAdvisor.